Over the past 30 years, Snowbird has garnered a reputation as the unparalleled place for expert skiers. But there are plenty of other choices. At the Bird, it's as painless finding a run to recapture that old style, or to build a little confidence, as it is rocking the cradle. That's why so many families (and their friends) have been migrating here for decades. And that's why pro skiers like Jeremy Nobis, Kristen Ulmer and Gordy Peifer, and film-maker Kris Ostness, make Snowbird their home base. Pro boarders have also been coming around to Snowbird, Tina and Mike Basich, Bjorn and Eerik Leines and Sean Lake call Snowbird home. Snowboarders are still a growing proportion of our winter guests, and they keep coming back to Snowbird. Families with dual allegiance (skiers and boarders) can ride together in perfect harmony on runs that vary from Chickadee ease, to expert off-piste flights, Baldy style. With it's incredible natural terrain features and it's sculpted half pipe, Snowbird has just about every kind of hit a diehard rider could want: from natural waves to smooth carveable groomers. 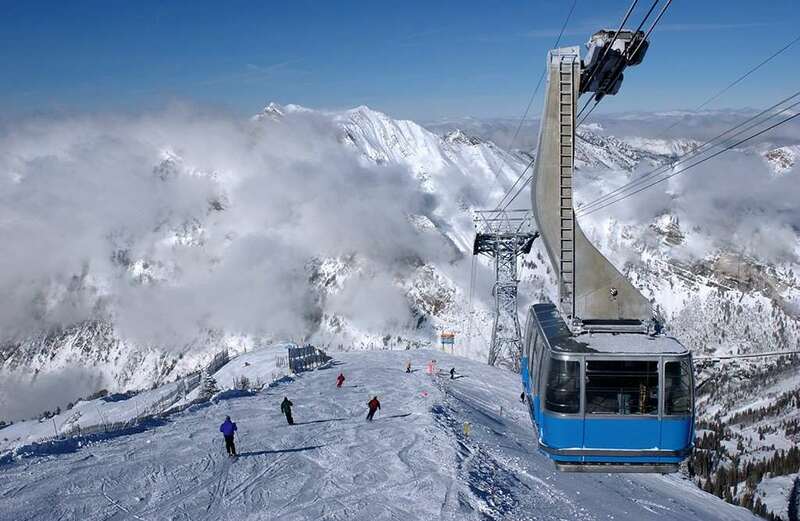 You can also ski in legendary Alta on the same lift pass (Alta is a skiers only resort however- no boarders). After skiing there is a variety of activities to partake in. Sushi bars, Pool bars, Jazz venues and a variety of other entertainment is available. Don't worry too much about the harsh drinking laws, just ask in the reception at your hotel, and they will point you to the right place.